For many years biomedical research has focused on defining what the best therapeutic products are or optimizing approaches to care. However, the reality is that such research is rarely translated into practice, especially in low income settings. Thus, one of CNHG’S major aims is to understand and evaluate the quality of care and the development and implementation of clinical practice guidelines. The single largest area of work focuses on rural, Kenyan district hospitals and their ability to provide effective, evidence-based care to seriously ill children and newborns. Research includes quantitative and qualitative evaluation of health system performance and the roles of health workers, including, for example, evaluation of adherence to guidelines, explorations of health worker motivation and barriers to implementing best practice care. Promoting bacterial disease surveillance in East Africa (www.netspear.org). 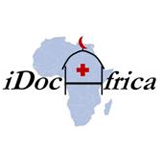 Evidence review and synthesis to inform development of national treatment guidelines (www.ichrc.org). This work is conducted in collaboration with the Ministry of Health in Kenya and, hopefully, with the proposed Kenyan Branch of the South African Cochrane Collaboration. In the future research in clinical epidemiology to tackle questions identified as of major importance by rural clinical, providers will be initiated to promote improved child and newborn survival.